Barcelona, December 4th, 2017- Oceanus 14 Pro, PTA balloon catheter receives CE Mark Approval. 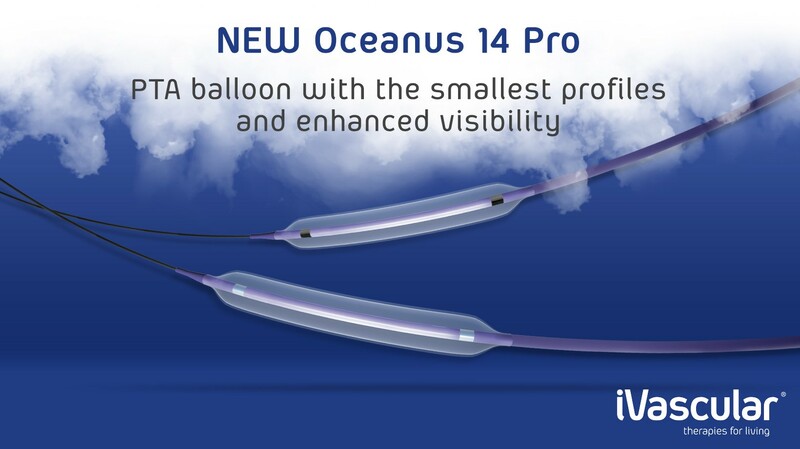 iVascular is pleased to announce the release of the new Oceanus 14 Pro PTA balloon catheter, which has received CE Mark Approval to dilate stenoses in femoral, popliteal, and infrapopliteal arteries, and to treat obstructive lesions in arteriovenous dialysis fistulae. 2 tungsten radiopaque markers for smaller diameters and lengths over 20mm. 2 metallic radiopaque markers for other references. “We are proud to bring to market the latest technology of PTA catheter. Our goal is to further develop technologies that will contribute to better long term clinical outcomes.” – said Lluis Duocastella, CEO of iVascular S.L.U.